Color gradation display on Polygon is now available. There are clear display with colors in the graph. Green is with the norm while yellow and red are out of the norm. We have supported MacOS 10.9 and Windows8, 8.1. 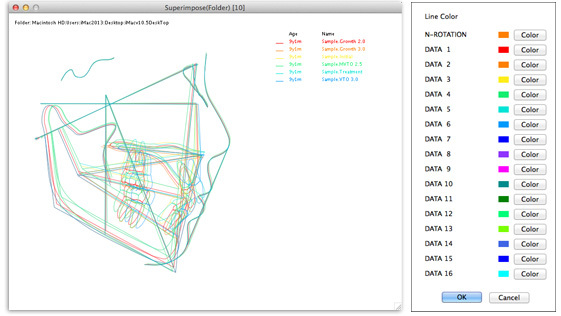 You can set up the trace color of the superimposition (folder). 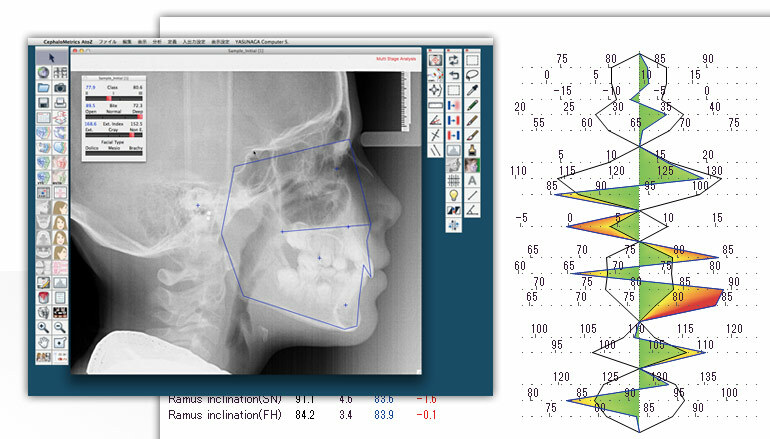 You can choose the trace color for the superimposition. Now, you can see the trace before Co-Cr Conversion. So you can understand how much trace is changed. 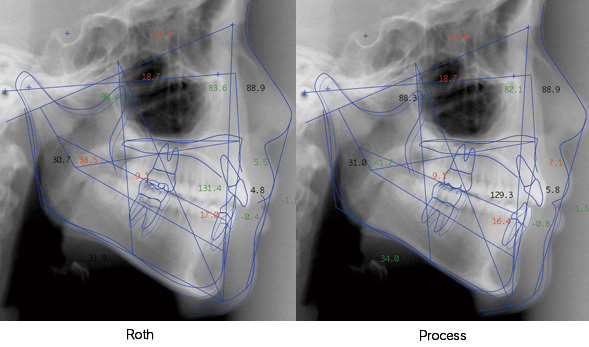 “Process” means stop rotation on maxillary baseline. “Roth” means original overbite rotation. New 6 formats is available on View Layout. Usually, trace is trimmed and printed on the center of paper. If you choose new A4 or A3 print format, the image is not trimmed, and it is printed as it is. 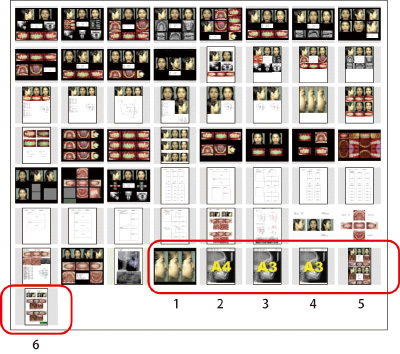 If the image is not put in A4 print format, choose A3 format to print it out. ※You must prepare the print capable with A3 print format to print it out. 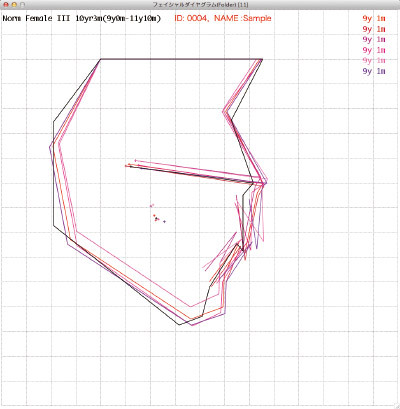 Trace can be anti-aliased line. 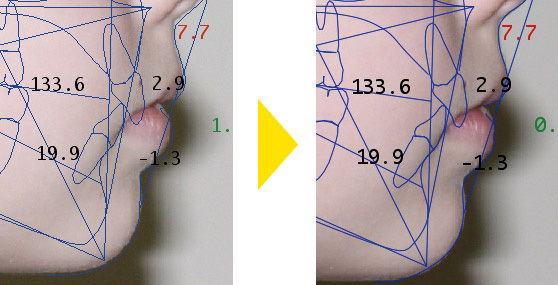 Lines of trace and superimposition become smooth. In the lines on the window of AtoZ, width1-3 is the same width. Since this new version, each line width is changed. 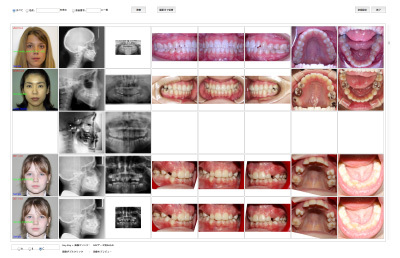 Improvement of AtoZ data Browser. 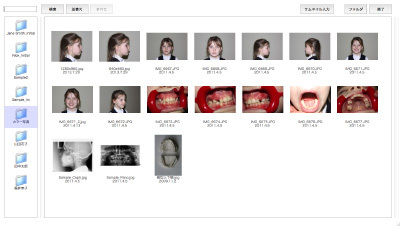 Even though memory is enough on the computer, previous AtoZ Image Browser shows up to 2000 incidents. But, now up to ten thousand incident is displayed at once. In short of RAM on the computer can leads to hang-up and freeze. Now it is fixed. If there are thousands of JPEG image in one folder, AtoZ might hang up. Now, this problem is fixed. 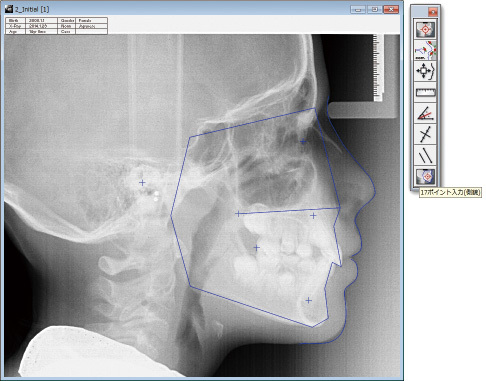 The window of polygon, facial diagram, and superimposition can be resized. Click enlarge/shrink tool on tool window, or drag on the bottom right corner of the window to enlarge or shrink it. 17 Landmarks Input in Multi-Stage provides facial diagram. 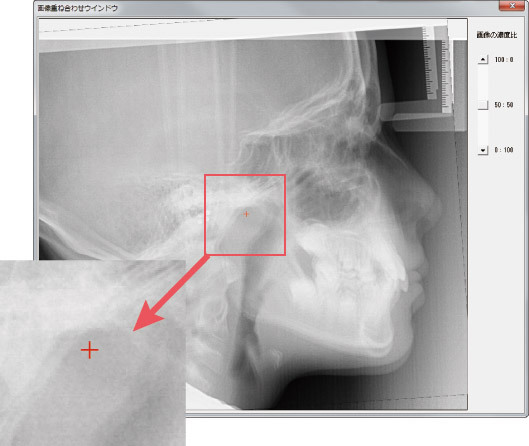 In “Superimpose X-ray”, there is a cross on the center of X-ray image you can move. You can see the center axis of rotation. 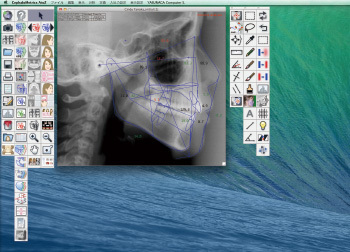 You can see multiple facial diagram within the folder.